Inna Hughes, MD, PhD, is an Assistant Professor of Child Neurology and Epilepsy at the University of Rochester. Her clinical interests are both in pediatric epilepsy and general child neurology. Dr. Hughes completed undergraduate studies at Williams College and graduated from Washington University in St Louis School of Medicine after completion of the combined MD, PhD program. She completed her child neurology residency training at the University of Rochester Medical Center in Rochester, NY. She is currently completing an epilepsy fellowship in addition to seeing general child neurology patients. Dr. Hughes is board certified in Neurology with Special Qualification in Child Neurology and board certified in Epilepsy. She is an active member in the American Academy of Neurology, American Epilepsy Society, and the Child Neurology Society. 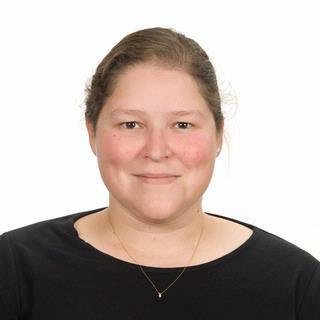 She has several research interests including the development and genetics of childhood onset epilepsy syndromes, dietary therapy in children and teens, and development of teaching and community programs to improve education and awareness for patients with epilepsy. Hurle B, Marques-Bonet T, Antonacci F, Hughes I, Ryan JF, Comparative Sequencing Program N, Eichler EE, Ornitz DM, Green ED. "Lineage-specific evolution of the vertebrate Otopetrin gene family revealed by comparative genomic analyses." BMC evolutionary biology. 2011 Jan 24; 11:23. Epub 2011 Jan 24. Wang H, Hughes I, Planer W, Parsadanian A, Grider JR, Vohra BP, Keller-Peck C, Heuckeroth RO. "The timing and location of glial cell line-derived neurotrophic factor expression determine enteric nervous system structure and function." The Journal of neuroscience : the official journal of the Society for Neuroscience.. 2010 Jan 27; 30(4):1523-38. Hughes I, Binkley J, Hurle B, Green ED, , Sidow A, Ornitz DM. "Identification of the Otopetrin Domain, a conserved domain in vertebrate otopetrins and invertebrate otopetrin-like family members." BMC evolutionary biology. 2008 Feb 6; 8:41. Epub 2008 Feb 06.